MOSCOW (Sputnik) - The authorities of Argentina intend to use the Brexit deal stalemate to increase efforts to take back the Falkland Islands, a UK overseas territory, Argentine Foreign Minister Jorge Faurie said in an interview. A British general has warned Argentina could strike against the Falklands. This comes amid drills by Argentina reportedly aimed at gaining leverage over the ownership of the islands. Sputnik spoke with Dr. Alasdair Pinkerton, political geographer at the Royal Holloway University of London about the military exercises and the future of the islands. UNITED NATIONS (Sputnik) - Argentine President Mauricio Macri reiterated the country’s sovereignty claim to the UK-ruled Falkland Islands while addressing the UN General Assembly on Tuesday. The UK National Archives have released documents from 1984 which give a fascinating glimpse into the discussions behind closed doors about the Falkland Islands. Sputnik takes a look at the files and explains their significance. Gaffes Away! Will Boris Johnson Put His Foot In It During Trip to Argentina? British Foreign Secretary Boris Johnson is in Argentina as part of a five-day trip to Latin America. Argentina's President Mauricio Macri is keen to improve relations 26 years after the two countries went to war over the Falkland Islands. 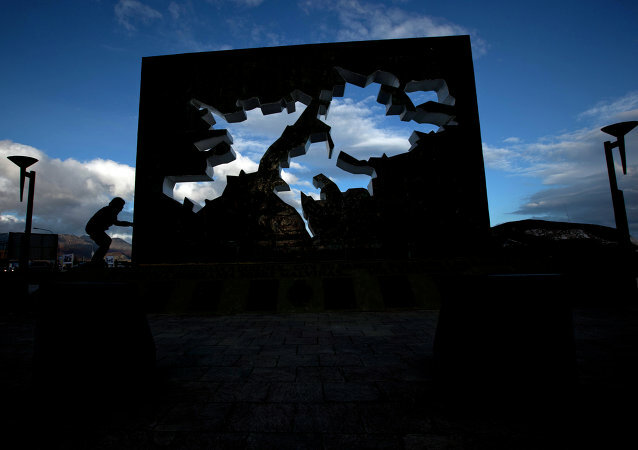 After relatives of the soldiers buried in mass graves completed a historic trip to the Falklands, Sputnik spoke with people whose long-term mourning has come to an end. On March 26, over 200 family members of the 90 servicemen whose remains were identified have finally been able to visit the cemetery in Darwin. A former UK ambassador to the UN has warned that British territorial claims around the world could come under increasing challenge as the country loses the diplomatic support of the European Union. Tuesday: After winning their ultimate goal, of a UK exit from the EU, the UKIP now find themselves without a leader and facing continued controversy; and, Amnesty International have released a damning report accusing the Australian government of “blatantly flouting international law” with their treatment of refugees in Nauru. Wednesday: Drug companies in the US have spent almost $900 million over the last ten years, lobbying against restrictions on opiate prescription drugs; and, the European Union has officially accepted a membership application from Bosnia and Herzegovina. Israel may have clandestinely sold arms to Argentina during the Falklands conflict between the United Kingdom and Argentina in 1982, British media reported Wednesday, citing newly declassified UK Foreign Office files. 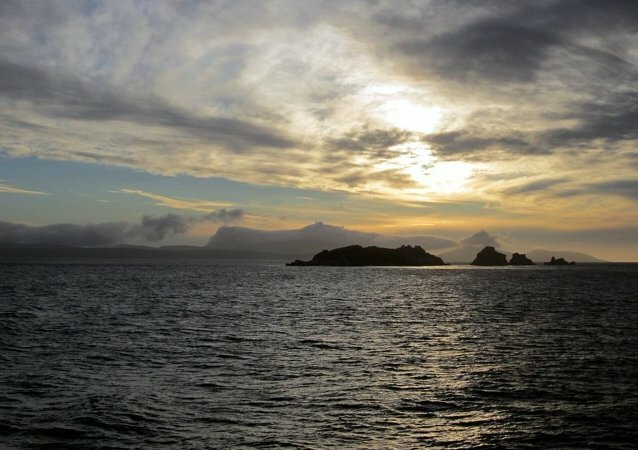 The debate over the control of the Falkland Islands have been reignited once again after a UN commission decided to extend Argentina's maritime territory to include the disputed South Atlantic archipelago. Argentina’s newly elected leadership said it will continue to press the United Kingdom for sovereignty rights over the disputed Falkland Islands. Former Russian ambassador to Argentina Evgeny Astakhov claims that the cooperation agreements that Argentina has recently signed with Russia could be a Buenos Aires' response to the situation with the disputed Falkland islands territories. Earlier on Tuesday, UK Defense Secretary Michael Fallon said Britain was going to boost its military defenses and set aside $268 million for a 10-year program to bolster the Falkland Islands’ defenses amid invasion fears from Argentina. UK Defense Secretary Michael Fallon will announce troop and equipment reinforcements to the Falklands on Monday. The move comes in response to a UK Defense Ministry review suggesting an invasion to the islands is likely. Over the last few days, Fox News’ Bill O’Reilly has gone on the defensive against claims that he inflated his own reporting experiences during the Falklands War. Former colleagues now claim he also may have bizarrely inserted himself into the narrative of the JFK assassination, and the suicide of a Lee Harvey Oswald associate. The cast and crew of popular British TV Show Top Gear had to abandon their cars at the roadside and flee Argentina after they were attacked with stones by an angry crowd that saw Jeremy Clarkson’s number plate as a provocation referring to the Falklands war, the Guardian reported Friday.